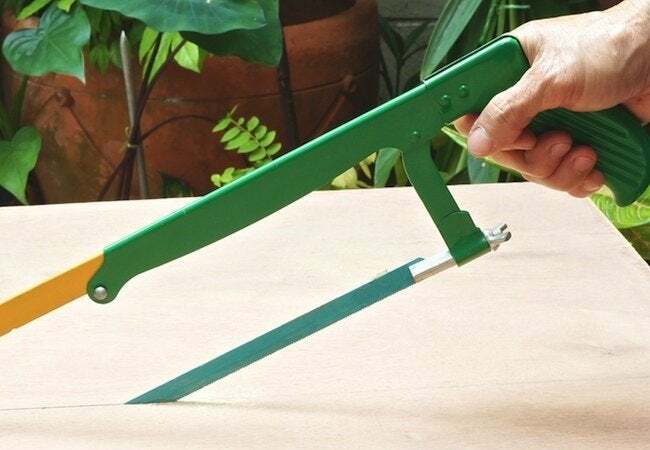 Though plywood can be difficult to cut cleanly, these tips on sawing plywood can help you get the job done well, with a minimum of hassle. Plywood is a versatile product great for lots of building projects. Cutting it can be a little tricky, however, as the edges are prone to little tears and nicks. Here are a couple of tips to help you get cleaner cuts in plywood. The most important thing you can do to get a clean cut is choose the right blade. If you’re using a jigsaw, you need a fine blade specifically designed for plywood or laminate. For circular saws, get a good carbide-tip blade. And for table saws or miter saws, you’ll need a blade with 80 teeth per inch (TPI). Second, understand how your saw works. The tearout usually happens on the side of the cutting action. So if you’re working with a jigsaw, which cuts on the upstroke, place your plywood with the good side face down. Also place the plywood face down if you’re using a circular saw or miter saw. For a table saw, flip the plywood over so it’s face up. Whatever saw you’re using, give the plywood plenty of support. Those big sheets can be unwieldy, and an unexpected shift can cause chips. Finally, try running painter’s tape along the length you intend to cut, and score your cut line with a razor first.